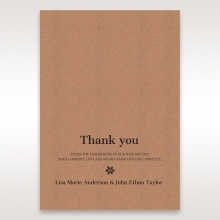 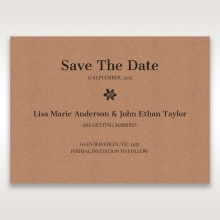 The rustic design of this invitation is perfect for a woodland or country wedding. 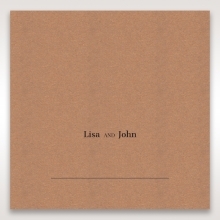 The square shape gives it a modern look, but the combination of white and craft tan keep the design casual but nonetheless charming. 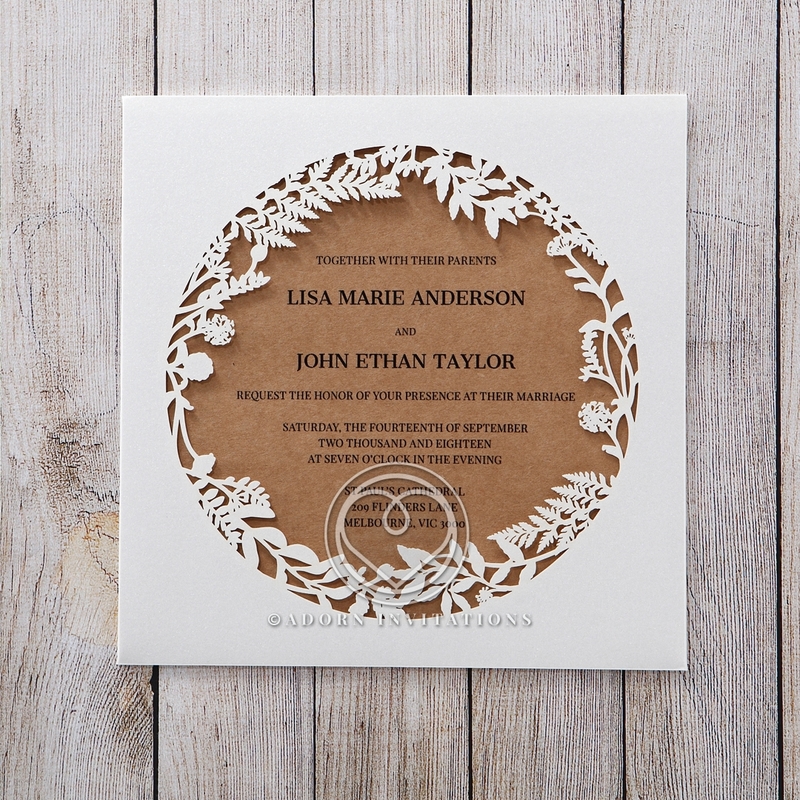 The center of the cover is laser cut with ferns and leaves representing a woodland theme, while the insert peeks through the opening to reveal your wedding details. The pocket cover paper is made of white pearlized paper, while the craft paper insert with your wedding details is printed in raised ink. 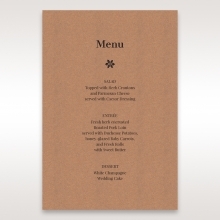 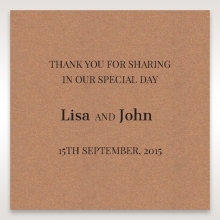 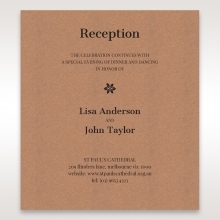 The text, fonts, and layout of your invitation are fully customizable. 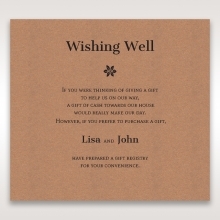 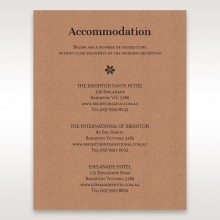 The coordinating Stationery Suite is also craft paper.